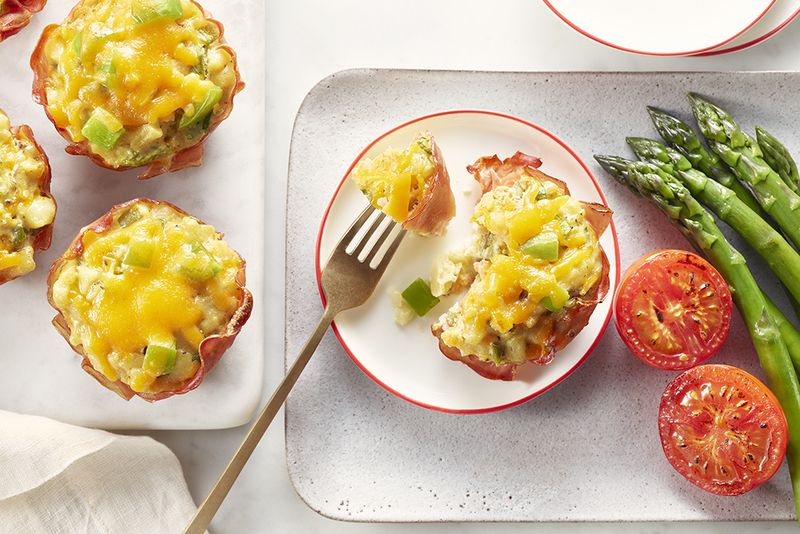 These elegant little cups taste like a western omelette and hash browns, all mixed up together! Try them at your next special occasion brunch. Heat the oven to 375°F (190°C). Spray 8 muffin cups or 3/4-cup (175 mL) ramekins with cooking spray. If using ramekins, arrange on rimmed baking sheet. Line each ramekin with slice of black forest ham. 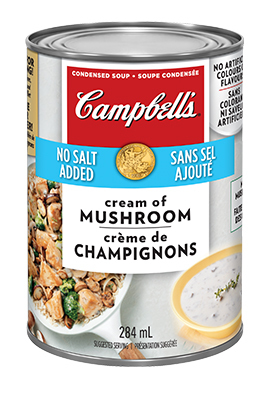 Mix hash browns, chopped green peppers, CAMPBELLS® Condensed No Salt Added Cream of Mushroom Soup, lightly beaten medium eggs, half of the shredded cheddar cheese, finely chopped green onions, Dijon mustard and chopped fresh thyme in large bowl. Fill cups completely with hash brown mixture. Bake 35 minutes or until set; sprinkle with remaining cheese and bake 5 minutes or until cheese is melted. Serve with a mixed green salad or steamed asparagus topped with a squeeze of lemon. For a little freshness, sprinkle with a little chopped fresh parsley. Dont like green peppers? Try red pepper, or chopped fresh broccoli, instead! My family loved this last year. I'm making these again for Christmas.